For college coaches planning to attend, please advise tournament staff at your earliest convenience by e-mailing CKing@KingFishCommunications.com to make necessary arrangements. For media representatives planning to attend, please advise tournament staff at your earliest convenience by e-mailing CKing@KingFishCommunications.com to make necessary arrangements. A shuttle service is provided one hour prior to all tee times and one half hour after the conclusion of play. You will be denied parking at the Pro Shop in addition to frontage road leading to pro shop at all hours Friday – Sunday. Only participants may park on property. One (1) parking pass will be provided and carpooling is encouraged. Per the rules of golf, advice may not be given. Spectators may not give rulings. Seek rules official if a need arises. Spectators should stay on cart paths. In the absence of paths, stay in the rough. Please stay off fairways, tees and greens. Spectators may not go beyond any roped off areas at any time. Carts are not available for rental. Temporary restrooms are located at the ‘Crossroads’ intersection. Phone devices must be on silent at all times. Be aware of errant shots. Your attendance is at your own risk. Locker room facilities are for players only. Public restrooms are available. Food & beverage placed on course and in Grill Room are for participants only. The Grill Room & Bar is limited to players & parents only between 6:00 – 11:30am. 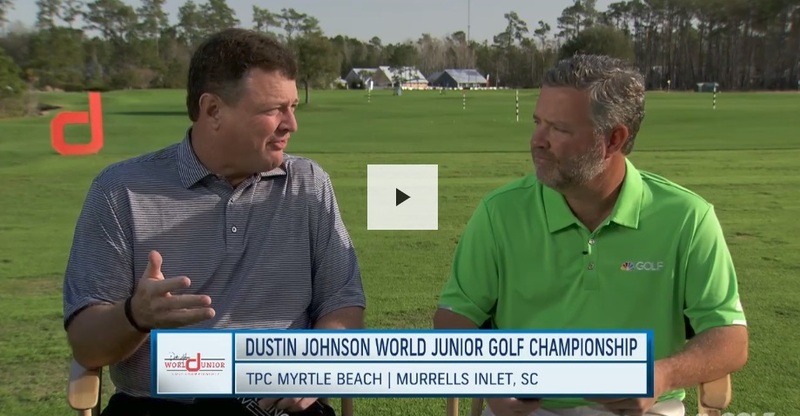 Enjoy your time at the Dustin Johnson World Junior!